editor’s note: every review of an album or ep has come standard with a numerical ranking assigned at the end of the article since the inception of dimestore saints. for awhile, this seemed to be a necessity, a way to keep up with other blogs and to perhaps speak a sort of shorthand code to those wishing to find the most thought-provoking new albums in the shortest amount of time. as this site has progressed i’ve become increasingly conflicted about assigning art an arbitrary value, which is why i’m stopping, effective immediately. from this moment forward, one can assume that any album or ep explored in length on dimestore saints carries some amount of merit and helps to shape the ever-changing musical landscape around us. one can also assume that any album or ep assigned the “best new music” category is not inherently superior to all other music released that week, but rather has a profound impact on the author and/or directly relates to noted cultural shifts and movements within the music community, both of which are key components when curating year-end content. phew. long-winded formalities aside, here’s our take on the new scallops hotel full-length. rory ferreira has charted an expansive course under the guise of milo, a persona culled from humble beginnings in the wisconsin rap collective nom de rap and sculpted meticulously over the past four years. 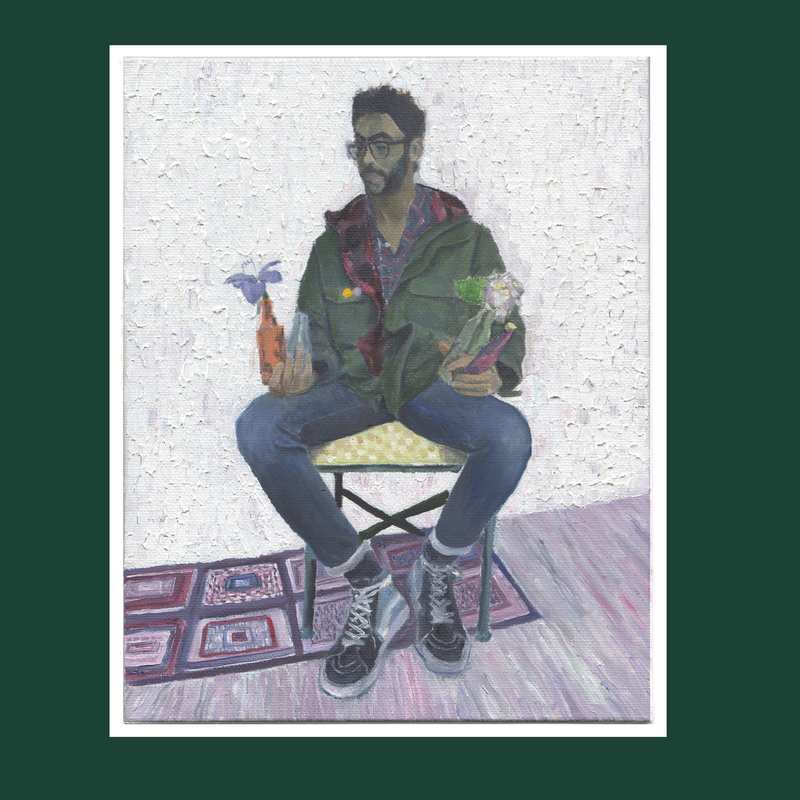 as milo gained a solid amount of traction in 2013 with a pair of eps and the stellar cavalcade mixtape, ferreira trotted out a side project called scallops hotel, one that found him mostly in charge of production and experimenting with songs devoid of conventional form. after quietly releasing poplar grove (or how to rap with a hammer) late that year, ferreira returns – more vociferously this time – as scallops hotel once again to deliver plain speaking, a riveting back-to-basics exercise. plain speaking is the most straightforward lyrical body of work ferreira has offered thus far in his career. his rhyme schemes, previously dictated by sequences of quick-witted non-sequiturs and compounding philosophical references, are now extremely fluid; standout cuts like “bookoo bread co” seem to come from ferreira’s heart as much as from his mind, and the name-checks that do still necessitate a google search fit comfortably within his narrative. many tracks also allow the audience to bear witness to ferreira’s rebirth of self. the downtrodden “roc marciano riff suite 1” distills his growing aversion to the aforementioned fact-checking into a tidy succession of bars before arriving at a thesis that feels central to the entire album: “don’t have to be flying / just existing.” the notion of relishing the present moment is in line with the overall fluidity of ferreira’s delivery, and adds an extra dimension to the organic nature that already permeates plain speaking. the musical side of the album is a bit more nuanced and showcases a personal progression rather than a strict reinvention for ferreira. “lavender chunk” was the first piece of plain speaking teased to the general public, and for good reason; its no-frills production further underscores the project’s direct nature. the track also functions well as a cursory overview of ferreira’s work for the casual or first-time listener, and its accessibility paired with a reasonably high-profile guest verse from hemlock ernst yields a rare product from ferreira that feels almost radio-ready. in the context of the rest of plain speaking, however, “lavender chunk” is an anomaly. most tracks are a bit murkier and some like “tense present” tend to shoot off suddenly into new musical thoughts, as if the non-sequiturs that previously frequented ferreira’s lyrics now manifest in his production. stabbed piano chords dictate opening number “gnosis, black nationalism, rice”; there is an interlude where a beat pulses tentatively underneath the recitation a henry dumas poem; the penultimate cut “birther” rests comfortably as the album’s lone instrumental track. the fluidity and renewed earnestness of ferreira’s lyrics binds together plain speaking, and its most crucial result is this unabashed – albeit exhaustive – exploration of timbres and constructs. when scallops hotel first emerged as a side project in 2013, it felt like a devotion to the self; in 2015 it feels more like a reclamation of the self. as milo has become increasingly subjected to public expectation, scallops hotel has served to counter any semblance of limitation. on plain speaking, ferreira has free reign and wisely chooses to surround himself with close, integral contributors. long-time collaborator safari al is granted one of just three guest verses on the album, and ferreira again enlisted the mixing talents of riley lake and the mastering craftwork of daddy kev. a few tracks were outsourced to other producers, a mild concession that keeps plain speaking from becoming too self-indulgent and serves as an indicator that ferreira still benefits from outside help. a perennial struggle for solo artists seems to be finding a proper balance between independence and collaboration; on plain speaking, rory ferreira is in full bloom. Previous article listen to a new song from astronauts, etc. Next article eskimeaux – o.k.